There is an interesting series being put together on British Columbia’s Site C Dam, which I have mentioned here before. The series can be found in reverse chronological order here. One of the interesting things I noted from one source used is that the top 3 mega-projects in Canada are all related to hydropower – so the era of big dams in that country (like many others) is far from over. The videos from the conference in Bonn this May are here. And I’ve put the overview/intro below. Earlier this week Sarah Boon wrote a nice piece on how Canada is, by undermining its water policies, also undermining its cultural foundations. I agree, and have said as much (though not so thoroughly) here, by arguing that the long-held wisdom of the policies and norms that helped to build a society should not be discarded lightly, even if they are not wholly satisfactory any longer. Instead of jettisoning them, we should think of them as a kind of upstream heritage. Upstream, that is, in a temporal sense where our water histories affect the options we have now. Likewise, today’s policies will constrain our options later. In Alberta, we can see contests over the upstream heritage of water histories being played out in real time. And we can note a significant discrepancy. On the one hand, Alberta recently approved an expansion of the Jackpine Oil Sands project. Canada’s environment minister openly remarked that there would be negative impacts but that the expansion was “justified.” But what justified it is altogether unclear, as this nice post details. Even the Edmonton Journal is worried about the risks of rushing Oil Sands development. And with the environmental agency that monitors the Oil Sands in danger of folding, the on-going awkwardness of over 170 square kilometers of manmade lakes burying waste products and recent concerns those lakes (read tailings ponds) are leaking, the Environment Minister’s claim just doesn’t wash.
Now, if we turn and look the other way, to Alberta’s only upstream neighbour – British Columbia – we see a different story. There, the Site C dam approval process has Alberta up in arms. The assessment for the dam is here, but Alberta is worried about elevated levels of mercury downstream (i.e. in Alberta) if the dam is approved. The Ft. Chipewyan Metis are suing BC Hydro over the effects of the two existing dams in that same watershed (see here and here). There is also community opposition to the project (and has been for some time, as I’ve noted before). To me, the double standard over water and energy reveals a glaring discrepancy in the way downstream effects are understood. The Ft. Chipewyan communities are downstream of both B.C. and most of Alberta’s energy projects, so they see and live the negative impacts of both. Alberta, by contrast, is at once claiming that its upstream neighbour should be more careful while using only the loosest ‘justification’ when it comes to its own downstream effects. Of course, nobody will be surprised if the discrepancy rests on some argument for self-interest. But in this case, the self-interested party(ies) are, as Sarah so nicely put it, undermining their own foundations. In other news, here is a recent study on un-burnable oil that was just published. A lot of things seem to be in the background until they break. When that happens, they are all too ready-to-hand. Like a broken tool. One of these things is energy. Specifically, the tools we use to avoid thinking about how energy leaks. 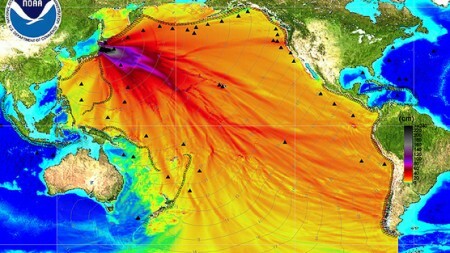 Usually we think about leaking energy in big events – like nuclear disasters like the ongoing contamination of ocean water at Fukushima where around 300 tonnes of contaminated water leaks into the ocean each day. But all energy leaks. It is part of the deal. Thermodynamically, I mean. Using energy leaks it out in less well-ordered forms after we take what we need and let the rest go. That is just part of the package. Call it exhaust, pollution, fact of life, whatever you like. So the point of environmental policy cannot be to stop energy leaks. That will never be a successful strategy. And it is one that is failing us all about. Not only at Fukushima, but also in the Canada’s Northwest Territories, where old mines are now leaking into over 100 lakes. Earlier this week, Alberta announced it had “contained” a spill of over 100 billion litres of coal particles into the Athabasca River. That spill happened on October 31st.